National, 3rd July 2018: B Natural Juices & Beverages from ITC Foods, after moving away from ‘Concentrate’ and shifting its entire portfolio to ‘Not From Concentrate’ variants, vowed to break records on fitness goals. The brand brought people together from the state of Punjab and the union territory of Chandigarh at Niper Auditorium, Sector 67 in Mohali for a GUINNESS WORLD RECORDS® title for ‘the Most people performing jump squats’ in a minute with 572 girls breaking the existing record of 497 achieved by Dubai Fitness Challenge (UAE) in Dubai, last year. 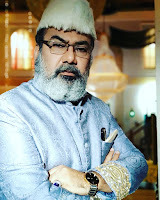 The achievement is testimony to B Natural’s core philosophy of breaking barriers across all spheres of life. 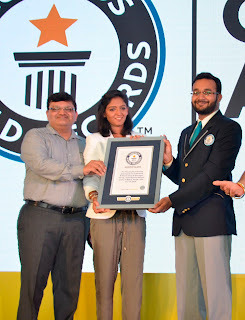 The GUINNESS WORLD RECORDS® challenge was led by Harmanpreet Kaur, Vice-Captain of India Women's National Cricket Team, in the presence of Sanjay Singal, Chief Operating Officer - Dairy and Beverages, ITC Ltd. The record breaking challenge is part of a larger campaign Harman XI - Saache Hunar Di Khoj, launched by B Natural and captained by Harmanpreet Kaur, who is considered a harbinger of change. The three-months long contest will invite girls across Jalandhar, Ludhiana, Amritsar, Chandigarh, Bathinda and Patiala to participate in the contest.